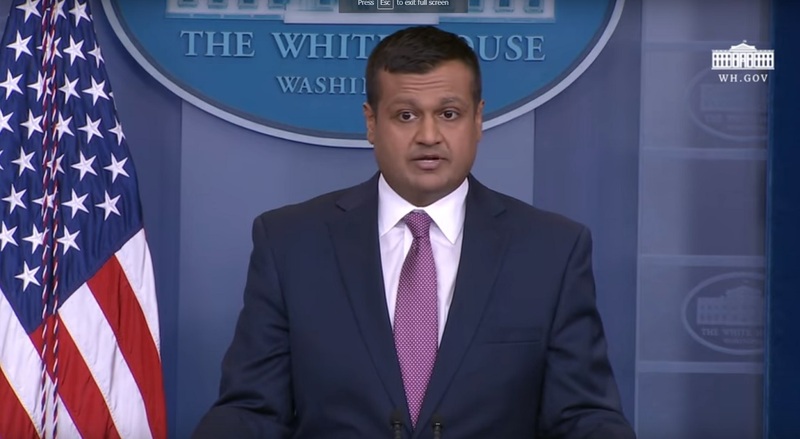 The first Indian American to hold a White House press briefing joins Florida-based Ballard Partners. White House Deputy Press Secretary and Deputy Assistant to the President Raj Shah has left the White House. The Indian American, who worked as a deputy to White House Press Secretary Sarah Sanders, has joined an arm of Florida-based lobbying firm Ballard Partners. In his new role, Shah will be leading media operations of Ballard Partners, which has offices in Florida and Washington. Shah’s new gig was first reported by the New York Times. Since last June, there has been speculation about his departure and one of the organizations he was rumored to be in talks for a position was the National Football League. As a partner and chair of the strategic communications practice, Shah will be working closely with James Rubin, a former Clinton administration official. Shah, a former opposition researcher at the Republican National Committee, has been part of the Trump administration since January 2017. Besides serving as deputy assistant to the president and deputy press secretary, he also acted as deputy communications director. Last year, he helped prepare Justice Brett M. Kavanaugh for his Senate confirmation hearings to the Supreme Court. Shah’s leaving is the latest in a series of departures by key Trump administration officials in the recent past. Shah was the first Indian American to hold a White House briefing. Ballard Partners, a powerful lobbying group, was founded by Brian D. Ballard, who served as a chief of staff to former Gov. Bob Martinez and headed the Florida fundraising operations of Mitt Romney and John McCain. Shah’s parents had immigrated from Mumbai to the United States. He was born and raised in Connecticut. In 2016, as head of operation research in Republican National Committee, Shah led a team to carry out research against Hillary Clinton.